We welcome military servicemembers and veterans! 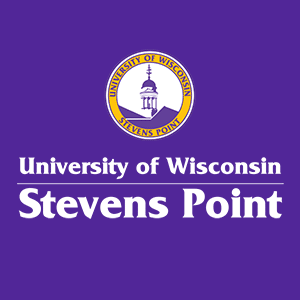 At the University of Wisconsin-Stevens Point, we believe "military-friendly" refers to the faculty, staff, student government, and the general student population having an attitude of openness, care, and concern for both the academic success and emotional health for those who have served our country. The Veteran Coordinator's main role is to explain educational benefit options, assist with the application for benefits, and to provide campus and community resource information that will contribute to the academic success and well-being of all military-affiliated students. UW-Stevens Point provides service members, veterans, and ROTC students priority registration each semester in compliance with Wisconsin Act AB201 and Section 303 of the Harry W. Colmery Veterans Educational Assistance Act of 2017. Registration appointment times are based on student status or credits earned. Military students are given appointment times for the next level greater than their current status. For example, a freshman will receive appointment times based on sophomore status. Nonresident veterans may qualify to have the nonresident portion of your tuition charges waived through either the Veterans Access, Choice & Accountability Act of 2014-Section 702 or through the Yellow Ribbon program. A Veteran who lives in the state where he or she is attending school(regardless of his/her legal state of residence) and enrolls in the school within three years of discharge from a qualifying period of active duty service of 90 days or more. --Then UW-Stevens Point will waive the nonresident portion of the tuition charges. Nonresident veterans that discharged from the military more than 3 years prior to attending school may qualify for the Yellow Ribbon program. This means UW-Stevens Point and the VA agree to pay/waive your nonresident tuition as long as you have Post 9/11 benefits to use. For additional details, please click on "Benefits" or call 715-346-3237. UW-Stevens Point has been designated as a 2019 Military Friendly School® and selected as a TOP SCHOOL in Military Advanced Education's 2018 Guide to Colleges & Universities.